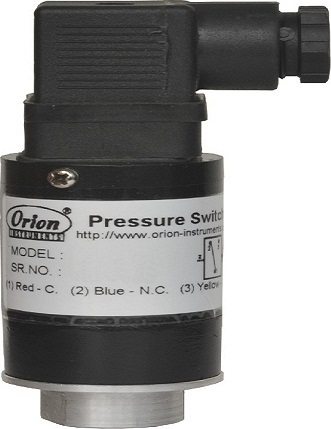 SA series (a variant of SM series) pressure switches have a cast aluminium enclosure, intended for inhouse use. These are generally used where size is a constraint. The repeat accuracy is better than +/- 2% FSR. A connector to DIN 43650 is provided for wiring. Pressure port is 1/4 inch BSP(F) standard.